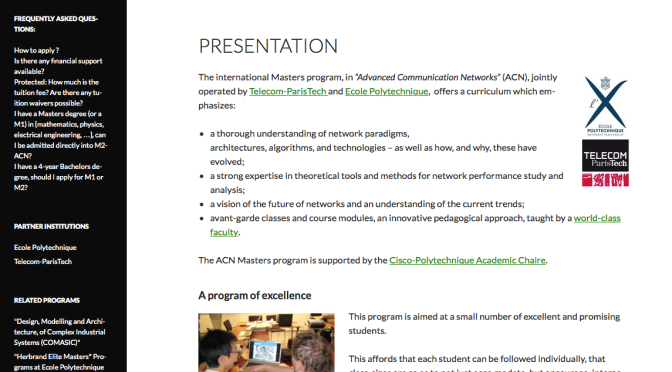 avant-garde classes and course modules, an innovative pedagogical approach, taught by a world-class faculty. 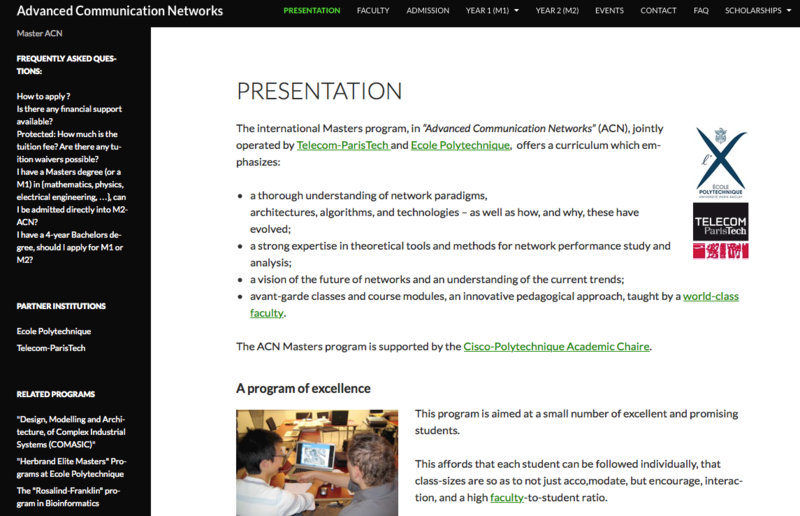 The ACN Masters program is supported by the Cisco-Polytechnique Academic Chaire. 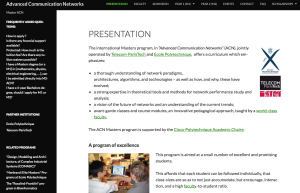 Admission is selective – but, in return, the program offers small class-sizes, a high faculty-to-student ratio, and individualized attention.